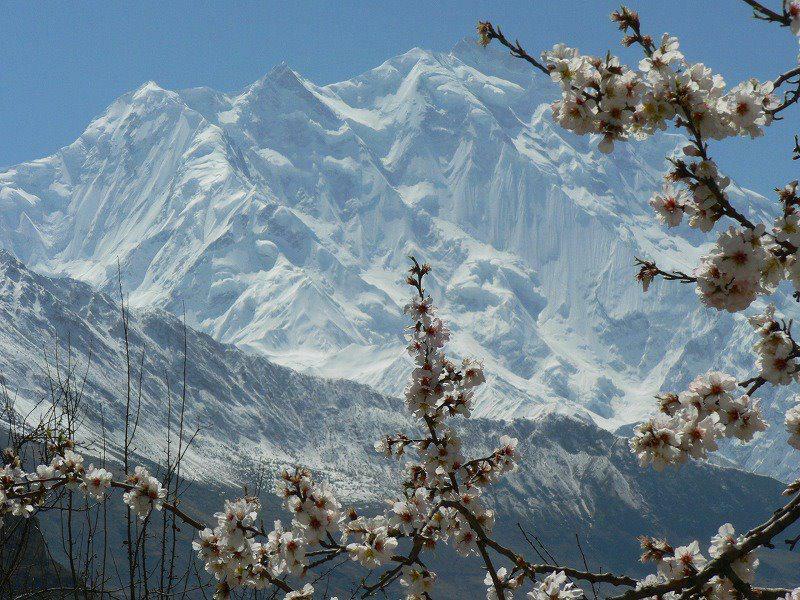 The main purpose of the project is to support the development of adventure and outdoor tourism in western areas of the Great Himalayan mountain range (including Karakorum and Hindu Kush), which are rarely visited by foreigners. The aim is to create the infrastructure for a gentle and respectful kind of tourism that will enhance the economic conditions of the communities living there without damaging the environment or harming the local cultural heritage. For historical and environmental reasons, the Shimshal Valley (upper-Hunz -Gojal) enjoys a long and well-established tradition of mountaineering. A number of local men have been hired by foreign mountaineering expeditions as high altitude porters. Some of them have summited 8000 m. peaks, including K2. However, the hope of developing a regular income of based on these skills has been jeopardized by the introduction of Nepalese Sherpas, disguised as mountaineering clients, brought into Pakistan surreptitiously by foreign commercial agencies. In addition to Shimshal mountain professionals, there are excellent mountaineers in other valleys, but their numbers are small and they lack an organization to support them. All of them would enjoy a significant improvement in their living standards if the massive influx of adventure tourists were at least partially directed towards the mountain ranges of the Western Karakorum and Hindu Kush instead of, as it is now, concentrating in the Baltoro area. For the steady development of responsible tourism in the area a more qualified staff is required, both in quantity and in quality. At the same time, this should be supported by consistent plans for marketing the region and for offering an efficient logistic support. Specialized mountaineering training designed to create a basic structure of reliable instructors (experts in rock and ice climbing, trekking guides, sirdars for mountaineering expeditions, instructors for student groups, team leaders for rescue operations, rangers, supervisors of the ecological wellbeing of the territory, etc). Training the Trainers. Candidates will be chosen from young people of the valleys who speak Wakhi (Wakhan Corridor and Gojal) and who already have real mountaineering experience, mainly as altitude porters. The Pakistani and Afghan trainees will speak the same language, belong to the same faith, and have the same cultural background. 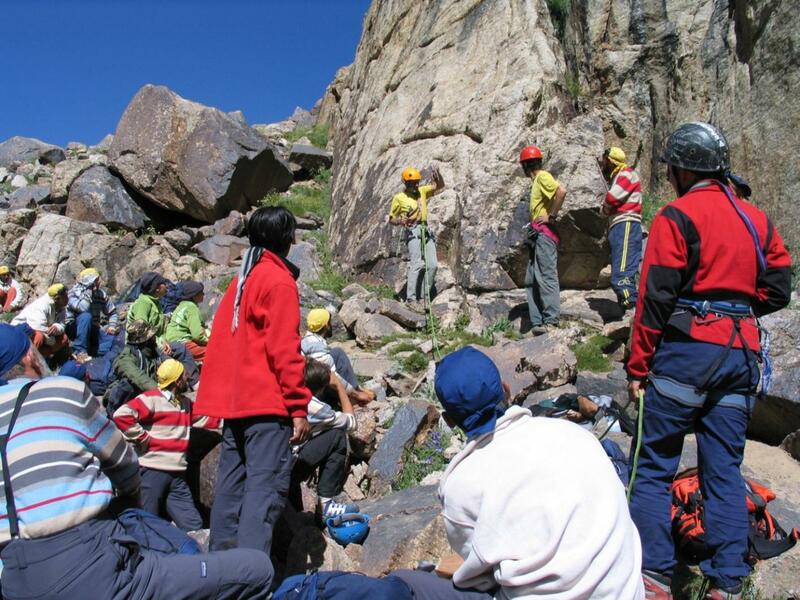 This new group of instructors, upon the completion of their course, will be able to organize courses of various levels for youngsters living in other valleys, for mountaineers coming from the plains and big cities, or for those leading trekking groups to valleys and glaciers. in this way we expect the initiative to have a long term-sustainable future. At the same time, the existence of well-trained mountaineers will make it easier for the Pakistani authorities to stop the Nepalese Sherpas who are paid a much higher salary by the foreign agencies than the Pakistani high altitude porters. Once the services offered are of similar or equal quality, there will be no reason for the foreign organizations to pay higher prices for illegal staff from Nepal. The Course for future instructors will be restricted to 22 trainees who speak Wakhi as a mother language and who have some real knowledge of mountaineering. They should also own at least part of the necessary equipment and technical gears required at high altitude. Four girls from the Shimshal valley – where a small mountaineering school is already present – have been selected to be part of the group of trainees. Mountain Wilderness is sending six highly qualified instructors, who will be working without fees. One of them will be a medical doctor specialized in high altitude problems and rescue operations. The theoretical subjects taught will include geography and geology of the great Asian mountain ranges, history of mountaineering in the Himalayas, the dynamics of glaciers and avalanches risks, techniques for installing and removing fixed ropes, the management of organic and inorganic garbage, the hygienic and logistics management of mobile camps, map and compass reading, etc. 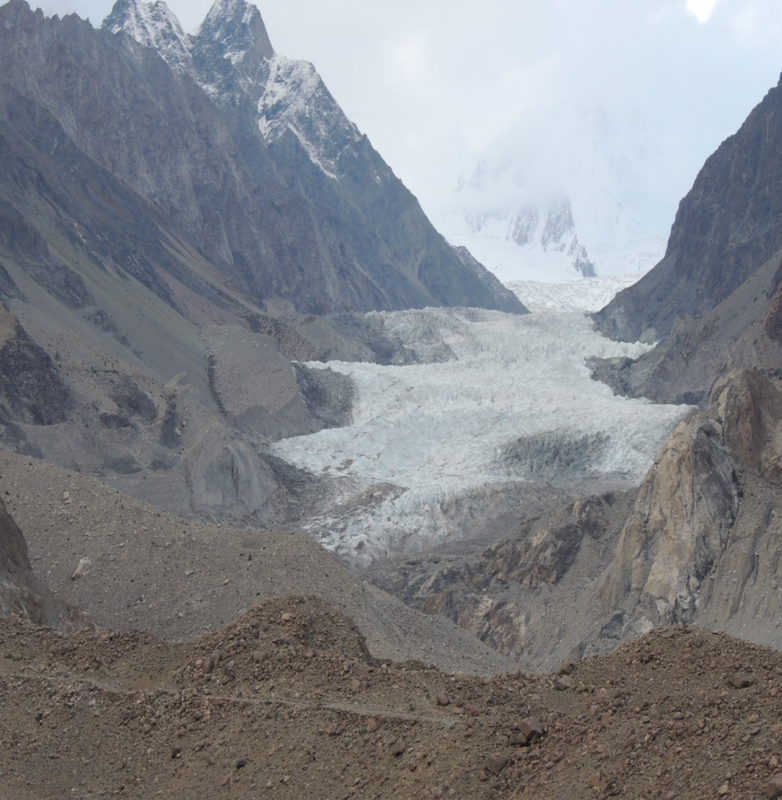 The Course will start on the 25th of August 2013 and will last 16 days at Pasu Glacier for 12 days and wil include an altitude camp over the Khunjerab Pass (4 days). The Aga Khan Foundation has agreed to cover two thirds of the budget provided that at least three trainees will come from the Wakhan Corridor. Mountain Wilderness will provide what is missing to cover the budget thanks to donations coming from the Academic Alpine Club, Sella Bank, Club Alpino Italiano of Florence, Chiesi Pharmaceutical and private donors.